At American Commercial Supply in Covina, California, there is no need to spend a lot on janitorial supplies. Our supplies, which range from $20 to $50, are intended for commercial use. Toilet paper and hand towels are among our bestsellers. As we offer a lot of generic alternatives that perform just as well as big-name brands, we are able to pass on savings to our customers. Instead of shelling out $75 a case for brands you usually buy, you can spend just $20 for the same quantity at our store. As we are committed to providing customers what they need when they need it, we update our stock every month. We also offer free local delivery. 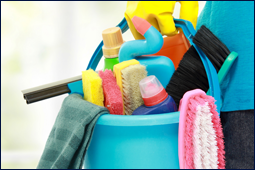 Contact us today in Covina, California, for affordable janitorial supplies.